If you've taken a look at my blog, you know I love a children's book review. 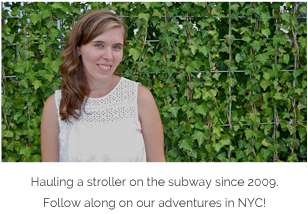 And if I'm writing one that isn't NYC-themed, then it simply must be unique. Rockin' Babies is just that -- a book you'll likely enjoy just as much as your child. 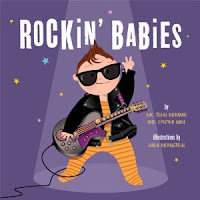 Co-authored by Dr. Jenn Berman and her mother, award-winning lyricist Cynthia Weil, Rockin' Babies was written with your little rock star in mind. Winner of the 2011 Purple Dragonfly Award for Best Board Book, I love this book as a baby shower or 1st birthday gift. The play on words and colorful illustrations that coincide are really amusing. I particularly love the line about rockin' babies that are "hounded by the paparazzi," i.e. Mommy & Daddy. I laugh out loud every time we get to "Rockin' Babies party in their cribs" (that would be Baby Sister!). 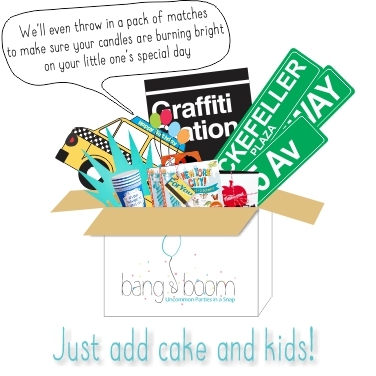 I'm excited to be partnering with Dr. Berman and Ms. Weil on a Rockin' Babies Swag Bag giveaway. Among other things, this giveaway includes Baby Banz sunglasses, a Rockabye Baby cd and Trumpette socks... perfect for your little rock star! See Rafflecopter below for 3 easy ways to enter. I'll announce a winner on Monday, October 22nd. Disclosure: I was given a Rockin' Babies Swag Bag for purposes of this review. Opinions expressed, as always, are my own.